EFSLI is an European membership led organisation of sign language interpreters consisting of national and regional associations, individual and associate members. Efsli’s aims and objectives are to encourage and promote deliberation and mutual exchange of the profession of interpreting services within Europe. With members in over 30 European countries, efsli has a wide European network covering all the stakeholders in the sign language interpreter profession in Europe. Efsli has extensive experience in disseminating and exchanging information in Europe with interpreters and related organisations, such as national deaf organisations and educational programs for interpreters. 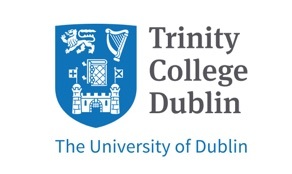 The Centre for Deaf Studies (CDS) at Trinity College Dublin is the only place in Ireland offering a route to a Bachelor in Deaf Studies, with specialisms in ISL teaching, ISL/English interpreting and Deaf Studies. Graduates from this Level 8 programme can subsequently access Level 9 and 10 programmes in a range of cognate areas. CDS’ has a wider brief in lifelong learning with a remit to increase the number of professionally trained and accredited ISL/English interpreters available in Ireland, to facilitate greater participation in Irish society by Deaf people; to promote high level ISL teaching practices, and to offer general training in Deaf Studies. The Centre also has a mandate to conduct research across the field of Deaf Studies. Funded research to date includes a review of Deaf education (National Council of Special Education), a review of interpreter provision in the mid-west region (Paul Partnership), Irish government funding (SIF II), JUSTISIGNS, SIGNALL II, SIGNALL 3, MEDISIGNS, D-SIGNS and the Hidden Histories project. Based in Brussels, Belgium, EUD is a not-for-profit European non-Governmental organisation (ENGO) whose members comprise of National Associations of the Deaf (NADs). It is the only supranational organisation representing Deaf people at European level and is one of the few ENGOs representing associations from all of the 28 EU Member States, in addition to EFTA countries: Iceland, Norway and Switzerland. EUD aims to establish and maintain EU level dialogue with its relative institutions and officials, in consultation and co-operation with its member NADs. EUD is a full member of the European Disability Forum (EDF) and is a Regional Co-operating Member of the World Federation of the Deaf (WFD) to tackle issues of global importance, and also has participatory status with the Council of Europe (CoE). EUD is a recipient of a REC grant from the Directorate General Employment, Social Affairs and Inclusion, of the European Commission. It is EUD's vision that Deaf people all over Europe have equality in both public and private aspects of life. Its main objectives it wants realised are: the recognition of the right to use an indigenous sign language, empowerment through communication and information, and equality in education and employment. AHEAD, the Association for Higher Education Access and Disability is an independent non-profit organisation working to promote full access to and participation in further and higher education for students with disabilities and to enhance their employment prospects on graduation. AHEAD provides information to students and graduates with disabilities, teachers, guidance counsellors and parents on disability issues in education. AHEAD works with graduates and employers through the GET AHEAD Graduate Forum and the WAM Mentored Work Placement Programme. 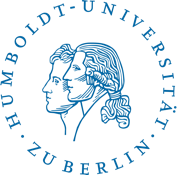 AHEAD coordinates LINK, a worldwide network of professionals promoting the inclusion of students & graduates with disabilities in Higher Education managed by 6 European partner organisations. The Centre for Translation & Interpreting Studies in Scotland (CTISS) combines the examination of translation, interpretations and communicative performances across spoken, signed, written and multimodal media. The Centre is part of The School of Management & Languages (SML). Historically, the Department of Languages and Intercultural Studies’ (LINCS) primary research focus has been in the field of Translation & Interpreting studies: it was with the express purpose of promoting such a focus that the Department was founded over 40 years ago. Staff are expert participants in court and police activities in Scotland, including the Institute for Policing Research and European Legal Interpreters and Translators Association. Academic staff is increasingly specialising in sign language studies and are currently running a pilot project on public policy designed to facilitate bilingual (BSL and English) transmission about BSL to Government and public authorities, the professions and the community (EdSign). The project is funded by the Scottish Funding Council. These activities have involved association with international partners in the UK, Finland, Greece, and Sweden, as well as the opportunity to work alongside the following Scottish organisations: Scottish Government’s Equality Unit, Scottish Council on Deafness, Sign Linguistics Corpora Network, Scottish Deaf Association, Scottish Association of Sign Language Interpreters.